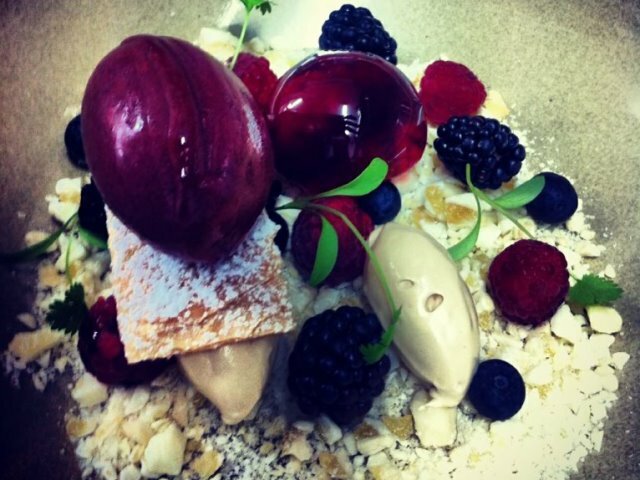 Reviews Tallwood restaurant – “Inspired food and great service. Well worth a visit” Ray and Janet E. Sydney. 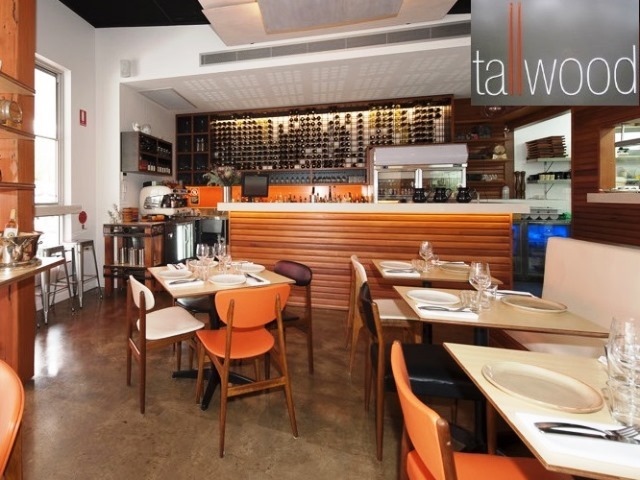 Reviews Tallwood restaurant – “We rated the Tallwood Restaurant as follows: ‘Experience’ – Excellent, ‘Service’ – Great, ‘Quality’ – Excellent, ‘Value for Money’ – Excellent.” Carolyn and Chris F. Sydney. 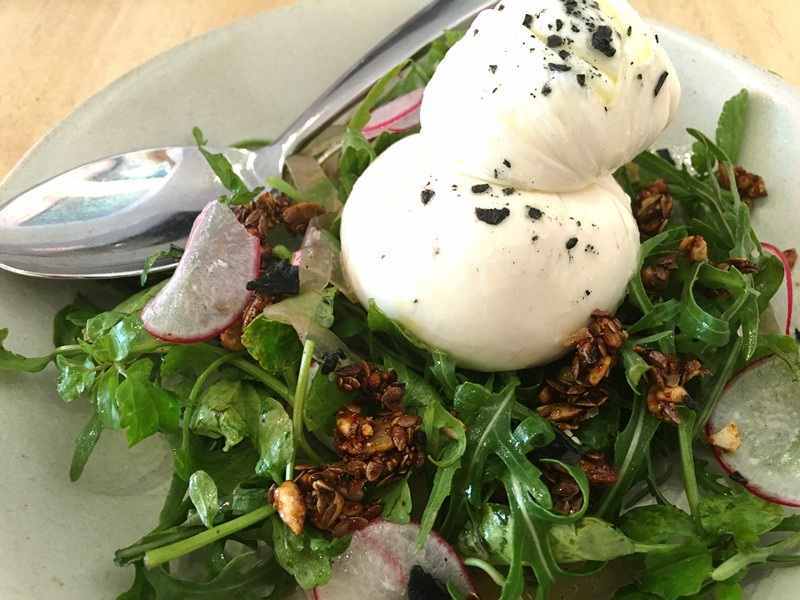 Reviews Tallwood restaurant – “Our favourite restaurant on this visit to Mollymook, Milton, Ulladulla was Tallwood.” Julia and Martin, ACT. 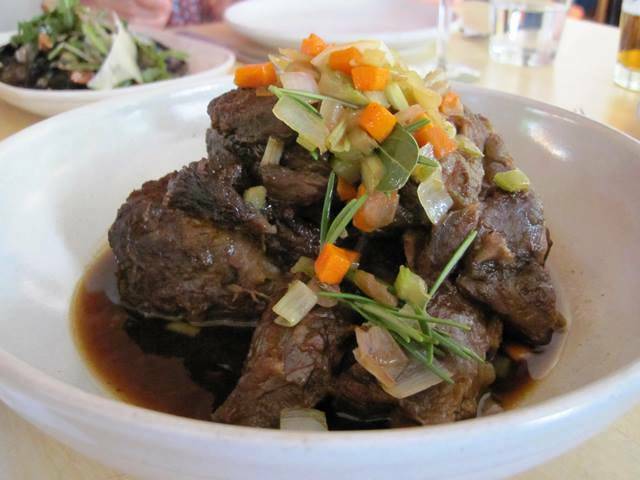 Reviews Tallwood restaurant – “Don’t miss it – imaginative and delicious food.” Penny and Brian. 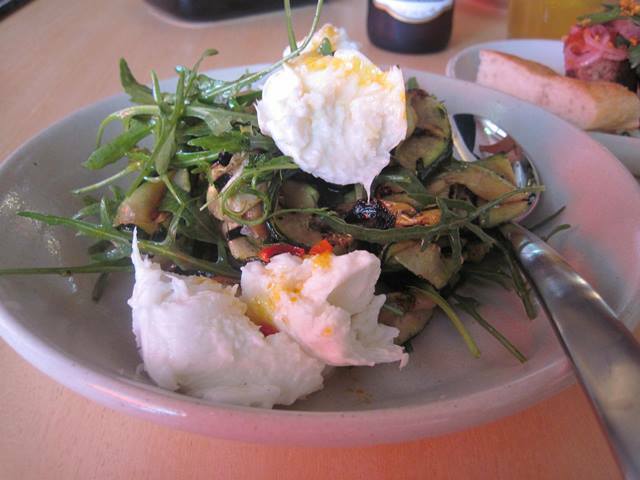 Tallwood Restaurant Reviews: “Went to Tallwood for breakfast, different but great.” Mary and Greg. Qld. Tallwood Restaurant Reviews: “The Tallwood restaurant never disappoints. It was our 50th wedding anniversary and to mark the occasion as the special day it was we chose Tallwood for lunch. Once again we left the choice of menu items to our host Clayton. He served us a mix of dishes beginning with seafood, followed by a vegatarian dish then our favourite smoked duck and finished with desert consisting of almond, semifredo and frangipani. 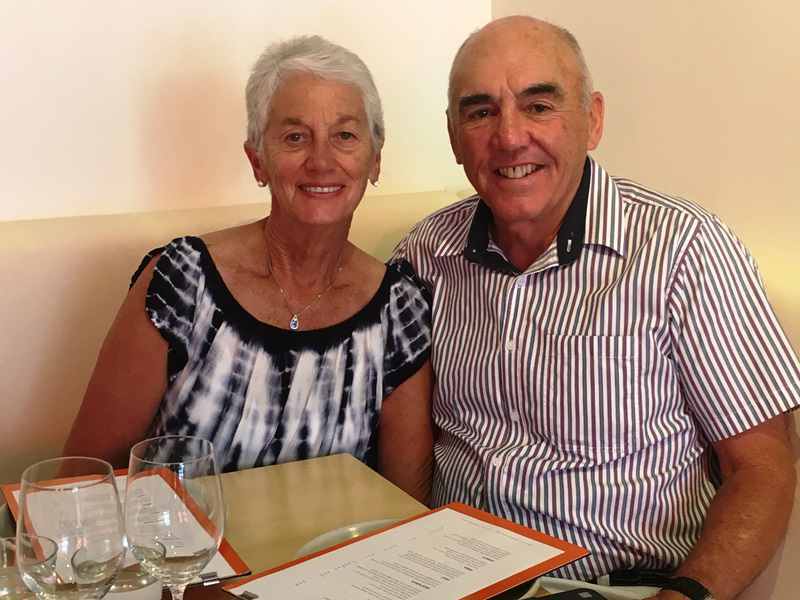 Once again we enjoyed magnificent dishes bulging with flavours” Ken and June, Mollymook. 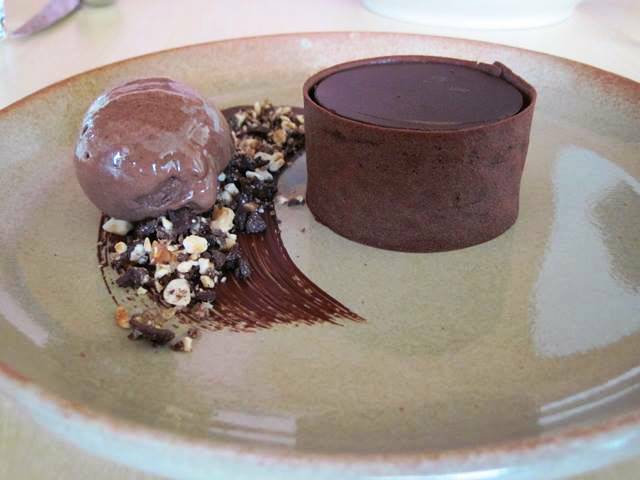 Tallwood Restaurant Reviews: “The Tallwood degustation menu was recommended by our host Ken at Mollymook Beach View. Tallwood is certainly establishing new ‘flavour sensations’ which need to be experienced if you love food. Wine paired with the meal was well matched, but I found it too much to consume with each dish, perhaps a half glass option would be preferable with a full degustation menu. I have made several trips to Tallwood now and each time I am surprised by the new menu’s constantly appearing. I will be back again, Tallwood is in my opinion part of the trifecta of top restaurants in this area, so make sure you book early. Seats are comfortable too, however it can be a bit on the noisy side.” Leah and Brian St Kilda, Vic. Tallwood Restaurant Reviews: “We had a great experience at Tallwood Restaurant and would rate the overall experience and quality of food at 9/10 AND the SERVICE provided by Clayton 10/10.” Patsy and Richard (Chef)” Bowral. Tallwood Restaurant Reviews: “How do we describe our experience at the Tallwood Restaurant? The most descriptive words I can find are: “Thoroughly enjoyable and unique” Stan and Janelle. Sydney. Tallwood Restaurant Reviews: “Clayton Till – Host Extraordinaire. It was ‘Fathers Day’ so we ask our host Clayton to choose our menu. The 1st dish to arrive was ‘Raw Fish’. Never would I have chosen raw fish in my wildest dreams. It was absolutely magnificent! It was accompanied with a fabulous bottle of Hunter Valley ‘Levin’ Chardonnay. The 2nd dish was spiced prawn cake. “I was blown away”, awesome! The 3rd dish was a vegetarian plate. My mind was spinning, “Why a vegetarian plate, after the two previous magnificent dishes”? My wife and I tasted it and both agreed, you could not fault the ‘Heirloom carrots, labneh with the date puree’. It was an excellent compliment. What would the 4th and final dish be we pondered to finish lunch? The servings were spot on with just the right ‘wait period’ between courses. Here we were serve an wonderful ‘crispy szechuan duck with scallops’. It was filled with flavours that would satisfy the most discerning customer. 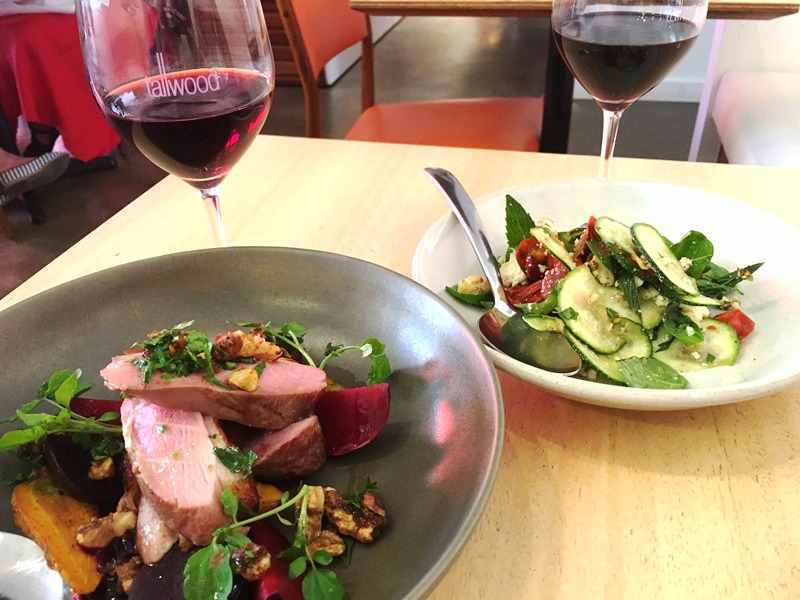 My wife loves duck and the consensus was over whelming – Magnificent!” Ken and June, Mollymook. Tallwood Restaurant Reviews: “The quality and variety of food and the service were excellent.” Anna and Bill. ACT. Tallwood Restaurant Reviews: “We ate lunch at Tallwood, the experience, service, quality of food and value for money was all excellent.” Linda and Robert. ACT. Tallwood Restaurant Reviews: “A wonderful eatery and excellent value for money. We rate the quality of food, service and the experience very highly.” Michael and Saskia. Nowra. Tallwood Restaurant Reviews: “The food and service was great at Tallwood” Trish and Chris. Sydney. Tallwood Restaurant Reviews: “Tallwood amazing taste and food with excellent service” Prue and Scott C. Sydney. Tallwood Restaurant Reviews: “Tallwood was amazing – thank you Ken and June for your recommendation. 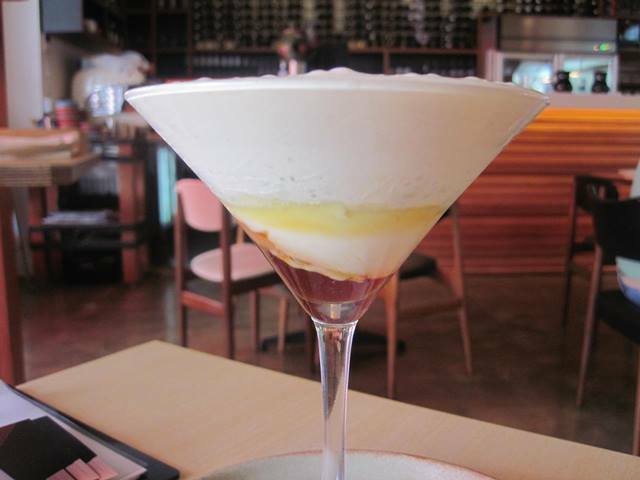 Amazing food and lovely service.” Nikki & Hamish S. Sydney. Tallwood Restaurant Reviews: “Tallwood: Superb food and a laid back atmosphere. The duck and pork belly were sublime!” Gaynor & Dom T. Sydney. Tallwood Restaurant Reviews: What Tallwood lacks in terms of its outlook (compared to Risk Steins, St Isidore and Cupitt’s), it makes up in abundance with its flavours and approach. We found the menu here the most interesting of the restaurants that we enjoyed in the region. The restaurant suggests family style dining – ordering different size dishes to share with your dining companions. It is a great way to sample the different flavours that so much attention has been paid to. Our favourite dish was the twice cooked duck in Balinese spices, accompanied by an egg-noodle salad and delicious sauce. While this is the most explicitly Asian dish on the menu, there are certainly many other Asian influences. On a separate occasion we shared a paella pan with 3 friends and this was a great lunch meal with just a bit of bread and some wine. Nick P. (Foodie) Melbourne. Tallwood Restaurant Reviews: “It’s all about the flavours – fresh and creative. We enjoyed three dinners here. The standouts would have to be the chicken and lamb dishes – but we absolutely could not go past the sweet potato and the pea / mint & feta side dishes – delicious. Service was excellent as usual. 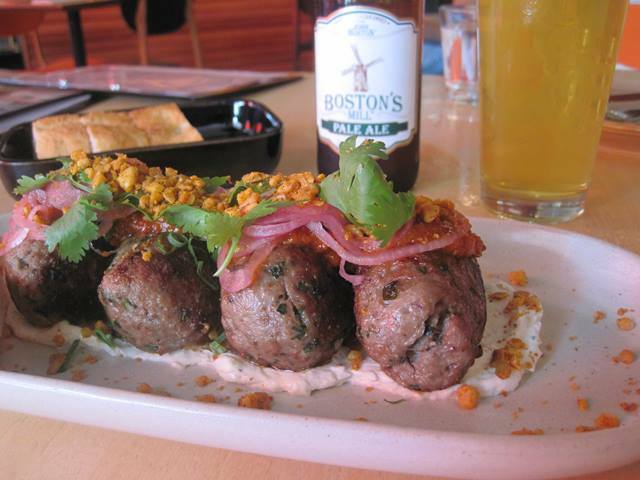 Fantastic wine list too – good selection of beer as well.” Rod and Marla. Newcastle. Tallwood Restaurant Reviews: Excellent food and service although very noisy. Linda & Ron S. Sydney. Tallwood Restaurant Reviews: Great restaurant, enjoyed lunch – wonderful service, high quality food. Sue & Alan. Yass. Tallwood Restaurant Reviews: Enjoyed our meal. Corkage high on wine. Anne & Phil T. Bowral. Tallwood Restaurant Reviews: Good service, helpings a bit small. Graeme S. Farmer, Country NSW. Tallwood Restaurant Reviews: Just as delicious as it was on our last visit 12 months ago. Excellent food, service and value. Christine and Lew. ACT. 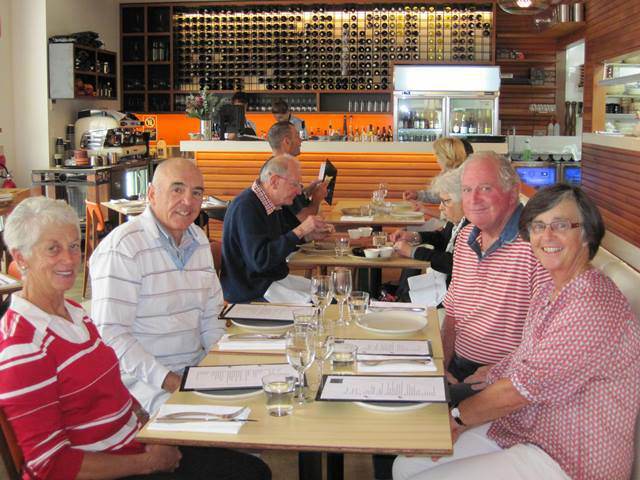 Tallwood Restaurant Reviews: (Waterfront guests posted this feedback on TripAdvisor 3 May 2014) “Tallwood is an excellent restaurant!” We visited again during our recent stay in Mollymook. We noticed a real difference in just the few months since our last visit (Sep 2013). The restaurant is obviously gaining a great reputation. There is an ambiance of informality about the place that fits well with the quality standards in food and service. The service was again friendly, helpful and informative. Our meal was great and we finished with a shared dessert – Bombe Alaska. It was interesting in presentation and really tasty. A great surprise! There is an excellent and eclectic wine list that also holds some surprises. The concept of a “shared plate” is a great way to experience the different offerings on the menu and it fits the theme of the restaurant. If you are in the region book for dinner – you won’t regret it! Pete and Sally ACT. Tallwood Restaurant Reviews: We had a fabulous dinner at Tallwood restaurant. Paul and Sally. Melbourne Vic. 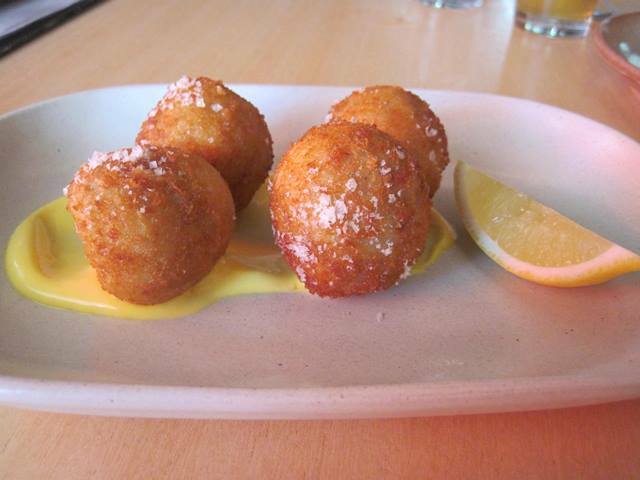 Tallwood Restaurant Reviews: Tallwood – so good we visited twice in three days. Flavours are sensational and service is friendly and of the highest standard. Marla and Rod. NSW North Coast. Tallwood Restaurant Reviews: We enjoyed GREAT food and service at the Tallwood restaurant. Christine and Katherine. Sydney. Tallwood Restaurant Reviews: Such an exquisite combination of flavours in each and every dish. The sharing menu gave us the opportunity to taste such a number of dishes. It was fantastic! Alex and Tim. Sydney. 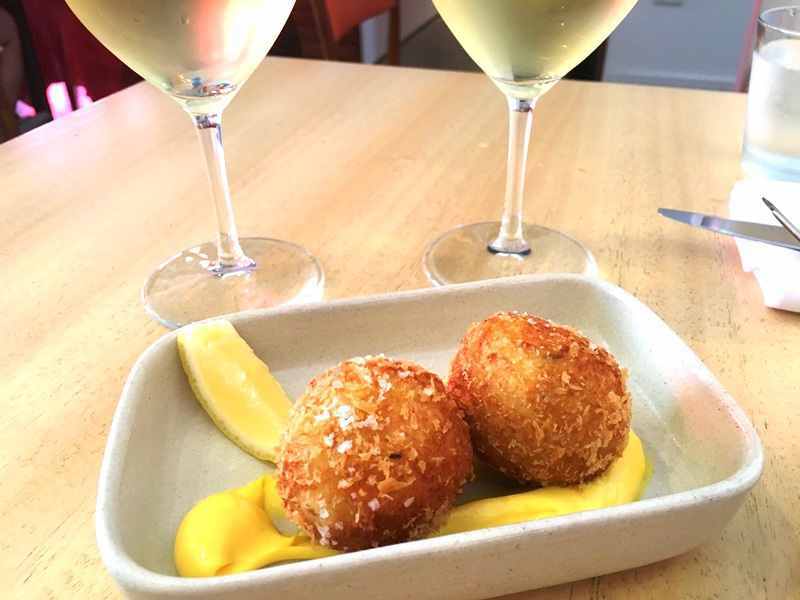 Reviews Tallwood Restaurant: “We had dinner at the Tallwood Restaurant over the Queens Birthday long weekend. The food was excellent. Kerry & John. 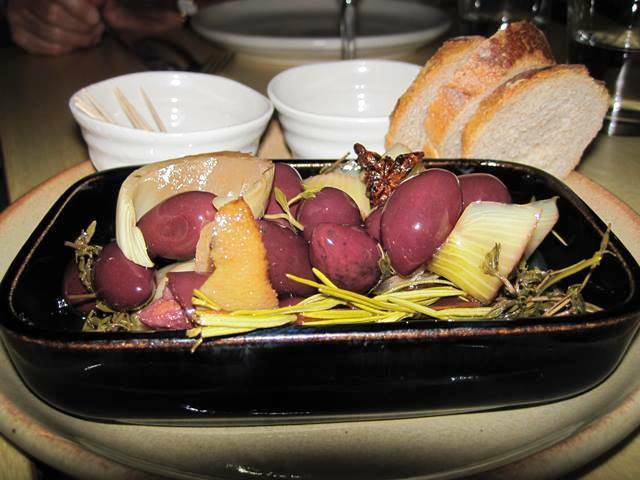 Reviews Tallwood Restaurant: “Tallwood Restaurant was amazing! 5 star + for the service, quality of food, experience and value for money. Fred and Mary. Reviews Tallwood Restaurant: “Tallwood Restaurant was excellent. Innovative and great food with an extensive and value for money menu and wine list. Felix & Cath. Reviews Tallwood Restaurant: “Tallwood – Highly recommended. We recently had a superb dinner at Tallwood, great experience in ‘shared’ plates of beef ribs, eggplant and octopus. Lovely ambiance and wonderful service. Lesley S.
Tallwood Restaurant Reviews: “The food was amazing and the service was spot on! Every dish was delicious and we look forward to eating there again on our next trip, especially with a group of friends” Ben and Mel C, Sydney. 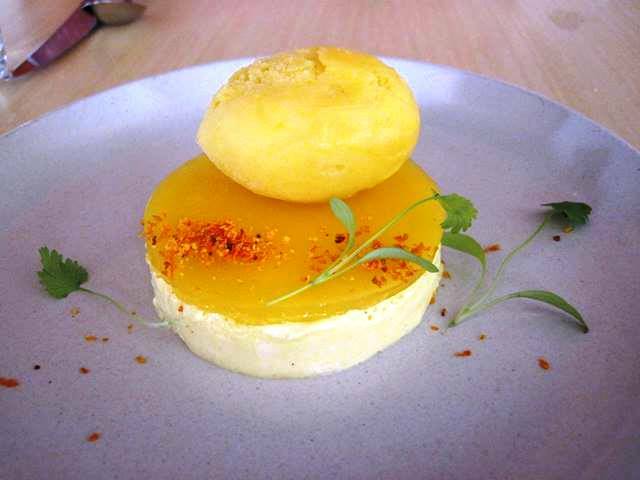 Tallwood Restaurant Reviews: “After seeing the write up on Tallwood in the Destination Mollymook Milton Ulladulla web site we made an advanced booking before our arrival in Mollymook. 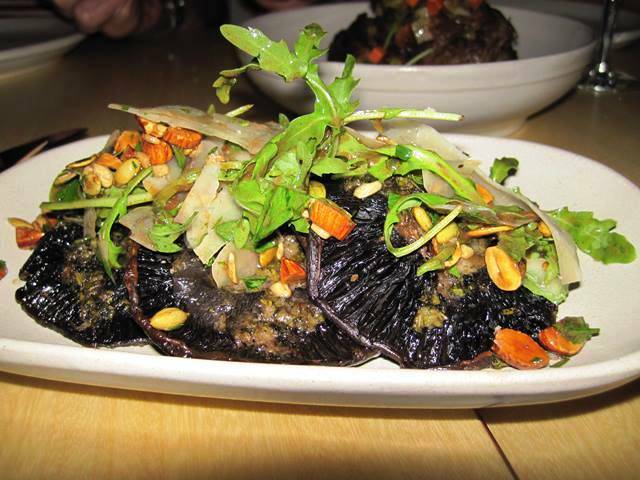 Tallwood did not disappoint: “Very very good food and great service” Julie M. Sydney. 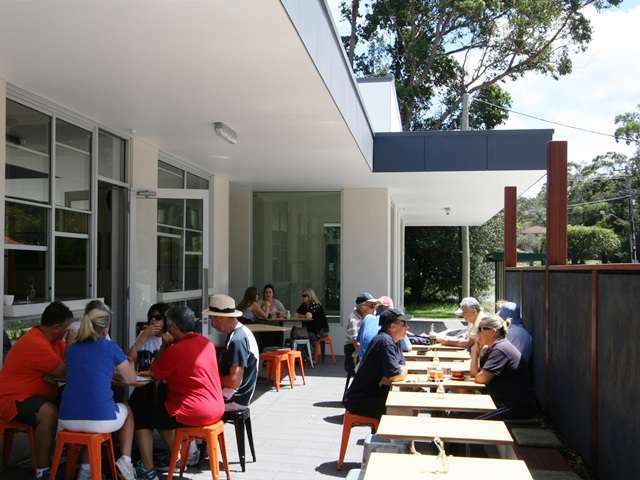 Tallwood Restaurant Reviews: A visit to Matthew Upson’s new ‘Tallwood’ eatery at Mollymook is almost irresistible! Nick P. Victoria.